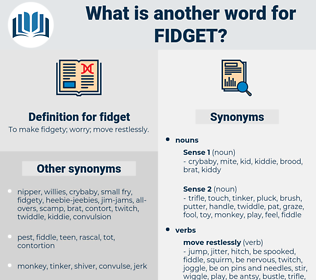 What is another word for fidget? To make fidgety; worry; move restlessly. Norvallis looked pink and uncomfortable as he began to fidget with the papers on the table. 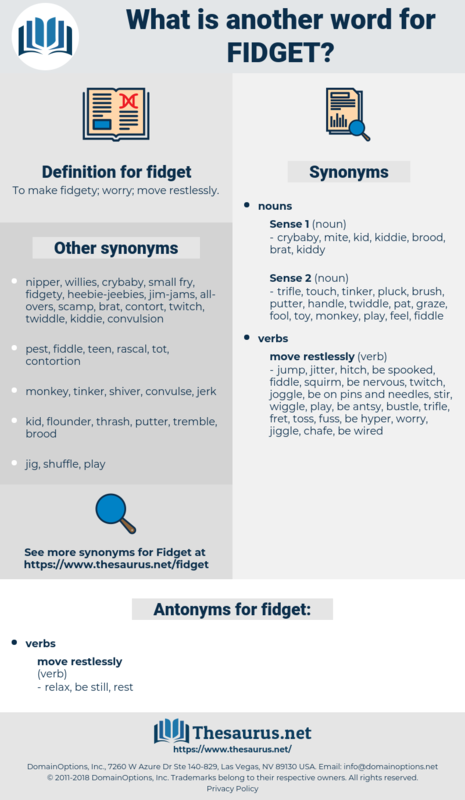 I am always in a fidget about him.